In a number of ways, our Slice of Life pie sale is a metaphor for everything that happens at Food & Friends. The tremendous effort by staff, volunteers, and donors is reflected in the work that we do throughout the year to fulfill our mission. Slice of Life requires focus and organization, and it requires the inspiring generosity of our friends in the community. Slice of Life provides critical funds that support Food & Friends through the winter season. Winter is a challenging time for Food & Friends because delivery is often more difficult and the number of clients in need increases. This year, however, these funds are also essential for our neighbors in Puerto Rico, specifically for Bill’s Kitchen, our sister organization providing home-delivered nutrition to people with HIV/AIDS throughout the island. Bill’s Kitchen, Fajardo location, in 2014. Bill’s Kitchen, directed by my long-time friend and colleague Sandy Torres, was devastated by Hurricane Maria, as was almost everything else in Puerto Rico. 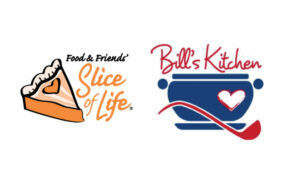 In response to their dire situation, the staff and Board of Food & Friends quickly made the decision to devote 10% of the money raised through Slice of Life to Bill’s Kitchen. We’ve advanced a portion of the total gift because their emergency is so truly urgent. 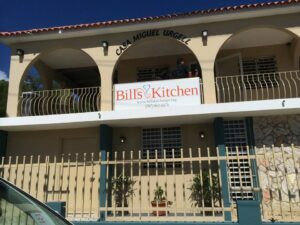 Bill’s Kitchen has several locations on the island of Puerto Rico and each location was impacted by the hurricane. Like almost all of the island, they lost power and water, and were rendered unable to provide their regular nutrition services. Characteristically, they responded immediately to the emergency by serving the food they had to anyone in close proximity to them, folks who were not their regular clients, but were who were hungry or sick or both. Weeks after the storm, they are still in dire circumstances and will be for the foreseeable future. One of the guiding principles of Food & Friends is that we are neighbors concerned about neighbors. And our sense of neighborhood is big. Every day we deliver to over 5,300 square miles of the D.C. Metropolitan Area. But Puerto Rico is also part of our neighborhood. There are many people who live in Washington who have family and friends in Puerto Rico, and many of us have visited the island. Puerto Rico is an integral part of the United States. So when our neighbors are in trouble, whether they are in Ward 1, Ward 8 or San Juan, the heart of Food & Friends is open to help. So this year, when we buy pies for ourselves or for Food & Friends’ Washington area clients, we’re also providing a healthy slice of hope to our brothers and sisters in Puerto Rico and our compatriots at Bill’s Kitchen. We are immensely grateful to everyone who helps with this endeavor.